Description : TALICIOUS is a talent community website that allows talented people to share their talents, communicate with other interesting people and be discovered by scouts or agencies who can easily search the site. Anyone who has a talent can upload a media (videos, pictures, audio files or word documents) to show his or her talent. 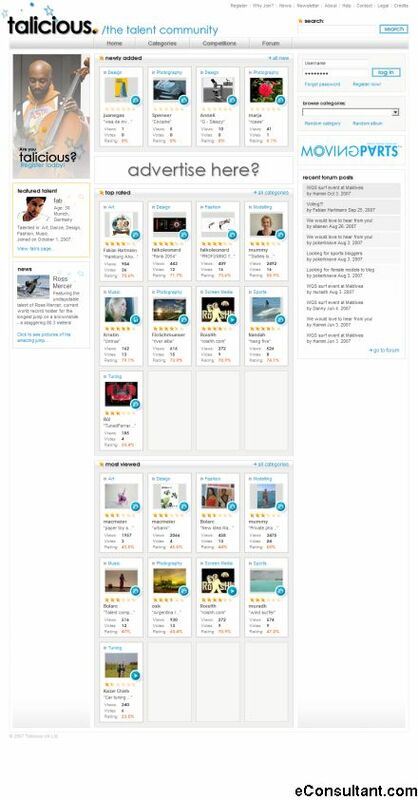 Talents get rated by the users.